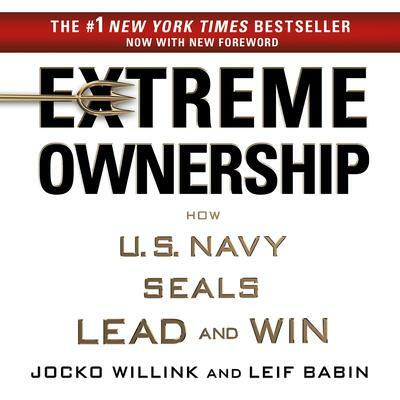 Jocko Willink is an author, decorated retired Navy SEAL officer, and cofounder of Echelon Front, where he is a leadership instructor, speaker, and executive coach. He spent twenty years in the US Navy SEAL teams, starting as an enlisted SEAL and rising through the ranks to become a SEAL officer. As commander of SEAL Team Three’s Task Unit Bruiser during the battle of Ramadi, he orchestrated SEAL operations that helped the “Ready First” Brigade of the US Army’s First Armored Division bring stability to the violent, war-torn city. Task Unit Bruiser became the most highly decorated Special Operations Unit of the Iraq War. He returned from Iraq to serve as officer in charge of training for all West Coast SEAL Teams. There, he spearheaded the development of leadership training and personally instructed and mentored the next generation of SEAL leaders who have continued to perform with great success on the battlefield. During his career, he was awarded the Silver Star, the Bronze Star, and numerous other personal and unit awards. In 2010, he retired from the Navy and launched Echelon Front where he teaches the leadership principles he learned on the battlefield to help others lead and win. Clients include individuals, teams, companies, and organizations across a wide-range of industries and fields.